The ultimate Friendsgiving menu is all about dinner, dessert and cocktails! Friendsgiving is the perfect time to gather friends over a delicious meal and enjoy some festive cocktails. It has become a holiday to look forward to in its own right, in addition to gathering for families' Thanksgiving celebrations. The ideal Friendsgiving menu is the perfect combination of unique twists on classic Thanksgiving dishes, seasonal desserts and, of course, some fun cocktail recipes. 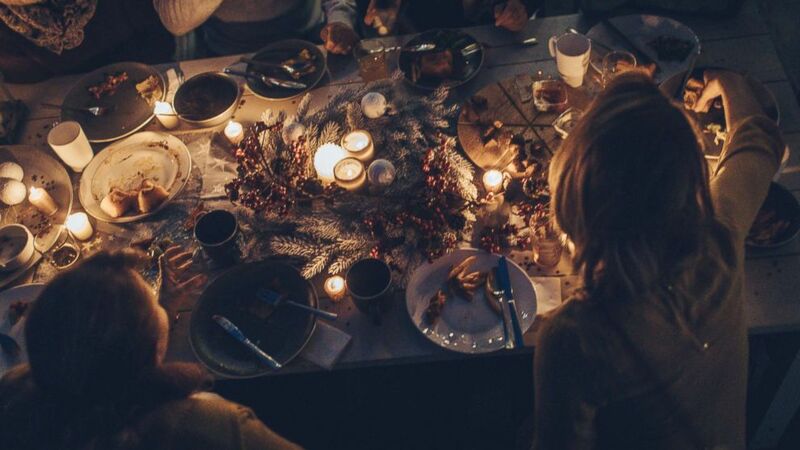 One way to lighten the load if you are hosting Friendsgiving this year is to do it potluck-style, asking or assigning various people to bring elements of the meal for the big celebration. Friendsgivings tend to be much more laid-back than Turkey Day with the family, which is a big part of their charm. Here are a few recipes, tips, hacks and ideas trending on Pinterest to make your Friendsgiving bash this year an unforgettable one. (STOCK/Getty Images) An undated stock photo of a Thanksgiving dinner. This year, one of the top trending dessert recipes on Pinterest is this dark chocolate pecan pie from Hershey's -- a gooey, chocolate-y pie that is sure to be a real crowd-pleaser. These pumpkin spice donuts were also one of the biggest trends on Pinterest this year, with more than 51,000 saves on the idea-sharing platform, proving that pumpkin-spice-everything season is not quite over. Add a whole new flavor to your Thanksgiving with these recipes. Plan and prep everything you need for a great holiday celebration! Finally, another big winner on Pinterest for Thanksgiving recipes were these mouthwatering pumpkin cheesecake bites. Friendsgiving is the perfect time to get creative and festive with your cocktails. For Friendsgiving booze, the cranberry apple sangria below and these cranberry Jello shots, which were among the top-10 Friendsgiving-related recipes trending on Pinterest this year, are sure to make your gathering a memorable one. Or you could try this apple cider mimosa recipe, which is a fun seasonal spin on your favorite fizzy cocktail, and only takes about five minutes to make once you collect all the ingredients. 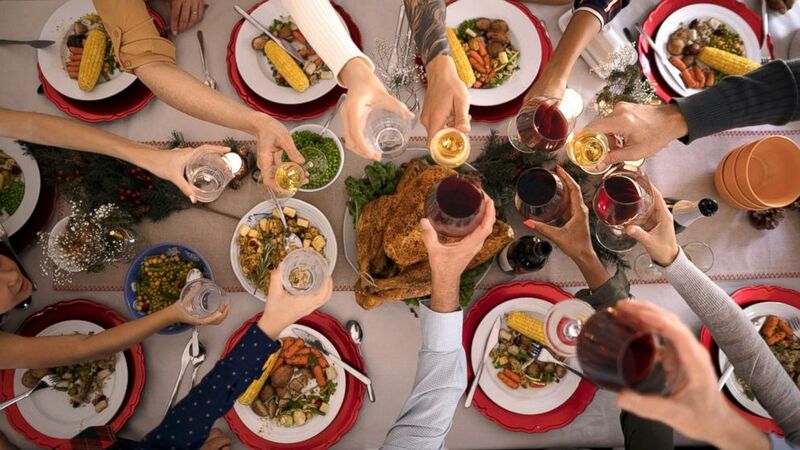 Plus, you can also check out our roundup of the perfect Thanksgiving wines for under $25, and how to pair them with popular dishes like a pro. (STOCK PHOTO/Getty Images) A new study says that the politics surrounding the 2016 Presidential election changed the length of Thanksgiving dinners that year. For some ridiculously Instagrammable and super fun decor, try creating these crafty, customize-able paper place mats from DIY guru Brit Morin. Plus, for some extra fun, leave the markers out on the table and have your guests leave notes or write what they are thankful for. You can watch a step-by-step guide below on how to create the place mats below. For more quick and simple DIY Friendsgiving decor hacks, check out these other ideas from Morin.